This weekend, hundreds took to the water to call on the Obama administration to rescind Shell’s Arctic drilling permits. 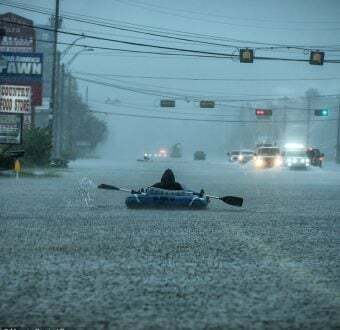 The kayaktivists are at it again. 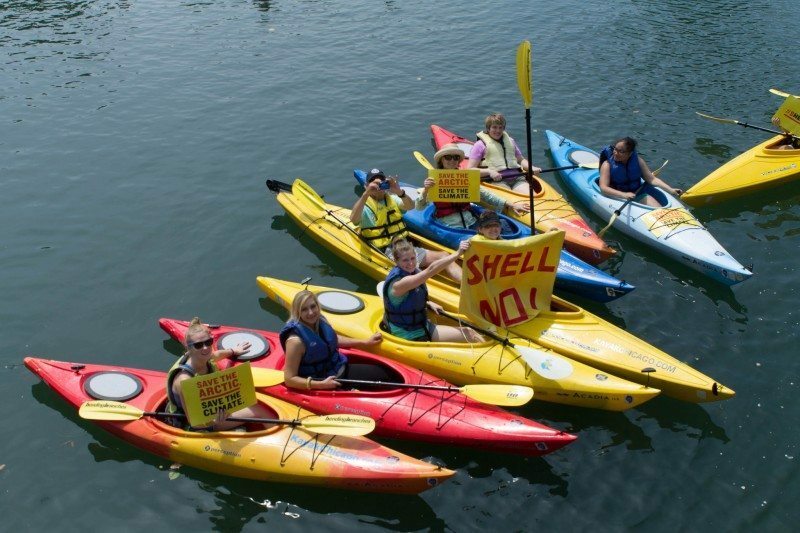 Hundreds of people across the country took to the water this weekend to call on the Obama administration to rescind Shell’s permission to drill for oil in the icy waters of the Arctic, one of the most fragile ecosystems on Earth. People are right to be concerned. Shell is gunning to be the first oil company to drill in U.S. Arctic waters, a region that is ironically only becoming accessible because global warming has caused enough ice melt to make room for drilling rigs. Shell would love to move its oil rigs up north quietly, without anyone noticing, but thanks to the continued work of everyday people who raise their voices, the oil giant isn’t going to get its drills in the ground without a fight. This weekend, from Detroit—home to the most polluted zip code in Michigan—to San Francisco, to Alaska, in front of the White House, and a dozen other places in between, people across the country sent President Obama a clear message: oil drilling is not the answer to runaway climate change. It’s time to keep it in the ground. 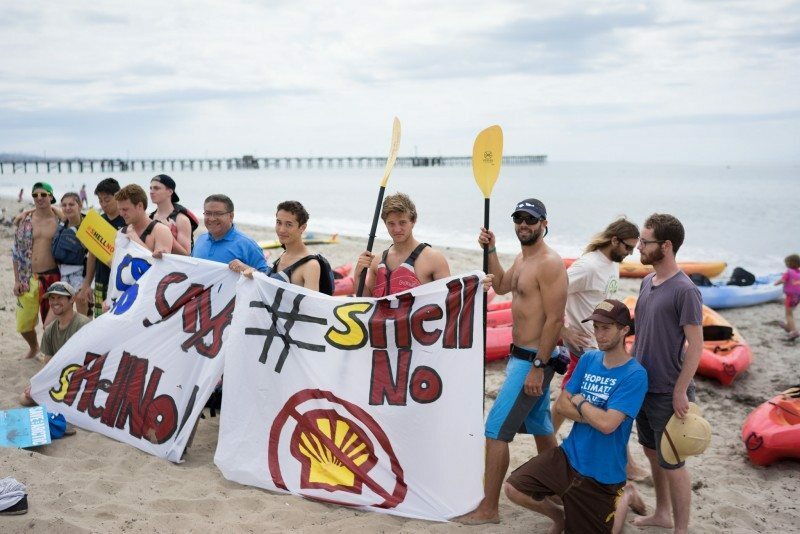 Activists at a #ShellNo day of action protest in Santa Barbara County, California, the site of a recent oil spill. Photo by Carl Perry. Drilling in the Arctic isn’t safe. In fact, one of the vessels in Shell’s Arctic drilling fleet has a giant three-foot gash on its side and is turning around for repairs. This comes after a long history of Shell having serious equipment problems, like in 2012 when one of its Arctic drilling rigs ran aground in Alaska and one even caught on fire. This is why it’s so important that we continue to speak out, by land or by sea. And we’re so inspired by the creativity and courage of the communities and individuals across the country taking action at this critical moment. Oil drilling in the Arctic is the exact wrong response to climate change. 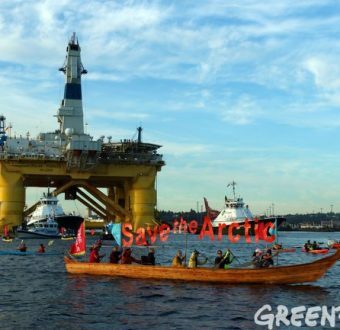 Shell’s Arctic agenda is among the costliest and most dangerous drilling expedition in the history of oil extraction. And according to the Obama Administration’s own estimation, there’s a 75 percent chance of a massive and unmanageable oil spill if oil companies are allowed to fully explore the region. Such a spill would jeopardize local wildlife like bowhead whales, walruses, and seals, all critical to the lives and livelihoods of the people living on Alaska’s North Slope. Our environment is too precious to be exploited for oil company profits. And it’s time for President Obama to be accountable to the future of our planet. It’s time the keep the oil in the ground. As Shell continues to move forward with its disastrous plan, we’re going to continue to fight back. We’ll need your help, so stay tuned. 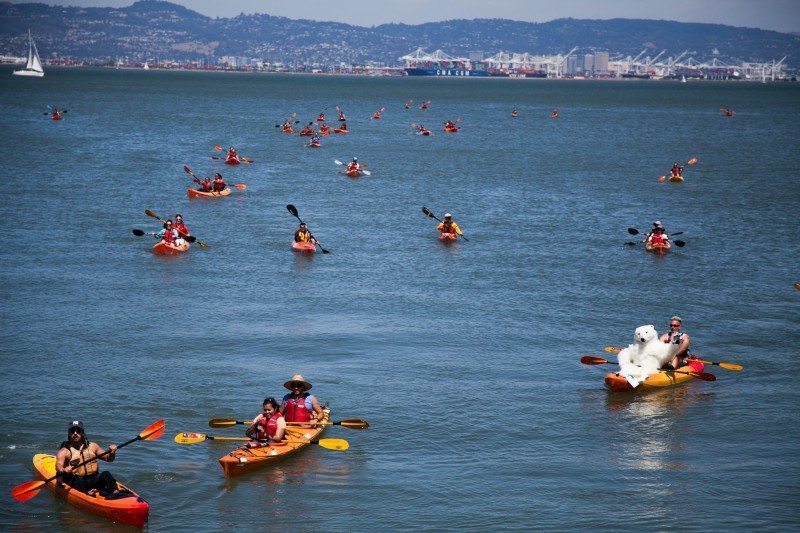 Kayaktivists in San Francisco Bay at a #ShellNo day of action protests. Photo by Peter W. Jackson. 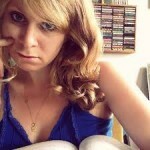 April is a mobilization specialist for Greenpeace USA's online team, focusing on the Arctic campaign. Prior to Greenpeace, April was an organizer at the Electronic Frontier Foundation, where she worked on a wide range of digital rights issues; her writing has appeared in Slate and Wired, to name a few. July 18, 2015 will be a national day of action to send Shell a loud, clear message: we will not let you drill in the Arctic. Here's how you can participate. 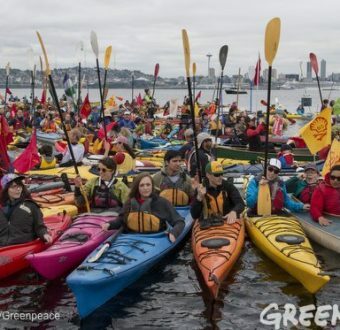 On May 16, 2015 thousands took the the land and water in Seattle to protest Arctic oil drilling. 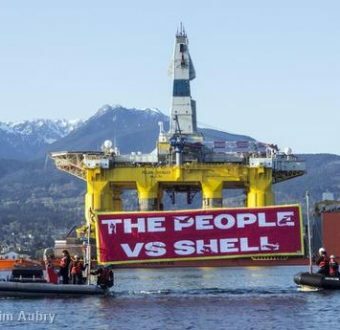 Seattle is the last stop for Shell's Arctic drilling rigs before they head up to drill off the coast of Alaska this summer.